Liam was appointed initially to the Department in 1997. Liam, a La Trobe undergraduate, was awarded the Dean's Medal after completing a first class honours Economics degree in 1995; and then a Master of Commerce degree at the University of Melbourne. 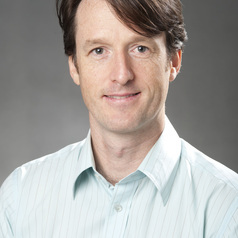 Liam then undertook his PhD thesis from 1999-2005, which highlighted his interest in exchange rate determination models and macroeconomic cycles. However, his research more recently has centred more on sports economics, specifically rules, regulation, incentives and athlete behaviour; with an emphasis on various forms of cheating (doping, match-fixing, etc.). Liam has held visiting positions at: University of Michigan (US); Massachusetts Institute of Technology (US); University of Otago (NZ); Lancaster University (UK); University of Exeter (UK) and Monash University. Liam was promoted to full lecturer in the Department of Economics and Finance in December 2002 and to senior lecturer in November 2007.